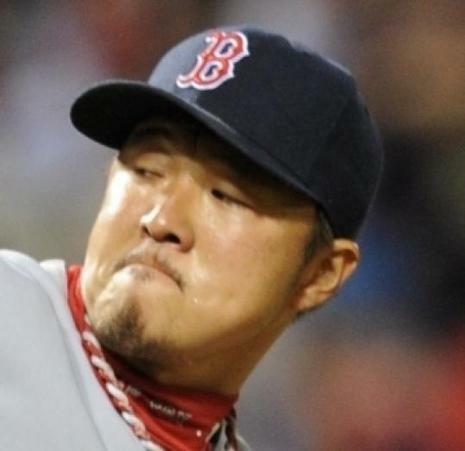 BALTIMORE - Even if Manny Ramírez seems bent on hitting a homer a day, there was no minimizing the news after Hideki Okajima's meltdown in last night's 6-3 Red Sox loss to the Orioles that David Ortiz has a left wrist injury that is expected to sideline him at least a month. BALTIMORE --It was a lost night for the Boston Red Sox. First, the Red Sox lost an eighth-inning lead to the Baltimore Orioles. Then they lost the game, 6-3. Then Boston learned it lost designated hitter David Ortiz, who will be placed on the 15-day disabled list with a partially torn tendon in his left wrist. Ortiz leads the Red Sox with 13 homers and 43 RBIs. It was a 3-1 pitch from reliever Hideki Okajima that center fielder Adam Jones crushed off the left-field wall, clearing the bases and providing the big hit in a comeback victory the Orioles badly needed. But the key pitch in the decisive at-bat of the Orioles' 6-3 victory last night over the Boston Red Sox at Camden Yards was Okajima's 2-1 offering, a high fastball that Jones let go for a ball, giving him the ideal hitter's count.